Cyber Monday Gift Certificate Sale! CYBER MONDAY SALE! Don't wait any longer to save your old memories, books, scrapbooks and photo albums AND give the gift of creating new memories with your family too. Buy any gift certificate over $200 and save $25 OR buy any gift certificate under $200 and save $10. 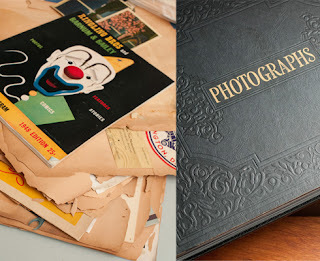 Cyndi Shattuck Photography has expanded photography services including photo album restoration, professional bookbinding, book collection consultations, photo and document scanning, photo and document conservation, self publishing help, and more. Check out the new website at www.archive-my-memories.com. Unlimited gift certificates can be purchased. Offer good through November 29th, 2011 - midnight. Fall Photos in the Park - $275! This is probably the most popular promotion I do each year. Fall in New York City is always my favorite season and I love getting the chance to spend some extra time in Central Park too. Have your family, child or engagement portraits done now for holiday cards! It really is the perfect time to have your photos taken in Central Park. 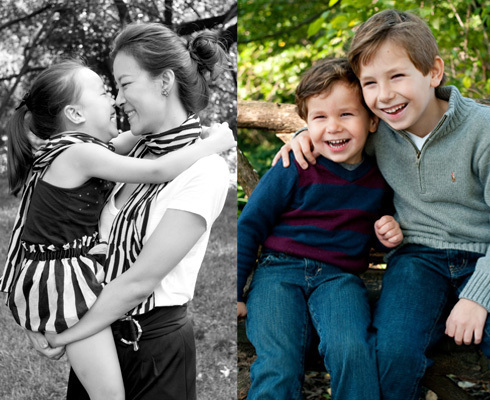 We are scheduling sessions for most weekends in September and October. 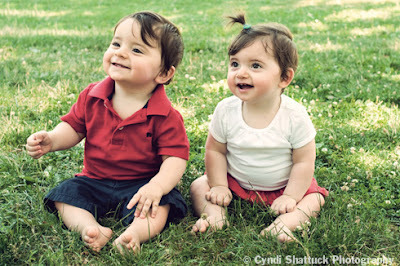 Each portrait session is 45 minutes with unlimited exposures. The price includes a DVD of your images, all images in color and black-and-white, a personal website of your images, and a softcover proof book. Read More on Tyra Banks' Website! 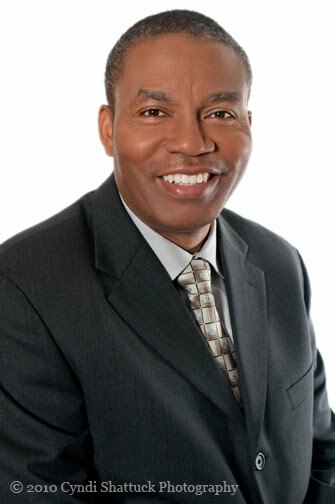 I was interviewed by one of Tyra Bank's staff writer for Tyra's website "Type F" a few weeks ago and the article just posted. It's really a fun piece and they gave me an entire paragraph in the story. Read more about how to prepare for your engagement photos (or really any outdoor shoot). – If you wear a black or navy shirt, please wear a black bra too. White or off-white bras often show through dark colored shirts when photographed. – Please get a manicure the day before your shoot. Hands are often photographed. – You should wear a LOT more makeup than they usually would wear. Please use a lot of foundation too and bring extra lipstick and powder. – Please wear a clear deodorant if you are going to wear a sleeveless shirt. – Gentlemen, please use a good hand cream the evening before AND the day of your shoot. Think about getting a “nailpolish-free” professional manicure too. – Please trim eyebrows, nose hair and ear hair within 24 hours before your photo shoot. – Please wear a lot of antiperspirant/powder and a tee-shirt under your shirt to absorb perspiration. – Do NOT wear perfume or cologne the day of your photo shoot. – Please wear sunscreen and wear or bring insect repellent to the shoot. – Do not drink alcohol for at least 24-48 hours before your photo shoot. – Everyone should try and get a good night’s sleep the evening before your shoot. – Drink lots of water for 24-72 hours before and eat something right before your shoot. – Please brush your teeth and floss before your shoot. Do I really need makeup for my portrait? This is probably the most often asked question when we do professional portraits for men. The answer is YES! Makeup for men does cost less than makeup for women (what's new--have you been to a dry cleaner recently? ), it does smooth out your skin tone, cover up a little bit of beard shadow, and helps you look as bright and alert as your female colleagues in their portraits. Sounds better and better, right? A good makeup artist like Andrea Kooharian, or Sharon Becker, will make your makeup look completely natural and match your foundation perfectly to your skin tone. Sharon did the makeup for the portrait of the gentleman above. Andrea did the makeup for the gentleman in the portrait below. I also include retouching with every portrait package, so between the makeup and some retouching, the men who come to us for a portrait look wonderful. Dark circles are lightened, facial stubble reduced, wrinkles are reduced (but not removed), and bumps are eliminated. 1. For BUSINESS portraits: please avoid wearing a white shirt. Cream, tan, pink, gray are all better. 2. Absolutely no stripes less than 1 inch apart on clothing. These stripes when photographed, especially for web use, create something called a moiré pattern, which is almost like an optical illusion or swirl patterns. Pinstripes are usually fine because they are far enough apart. 3. No really small, fine patterns either such as gingham check or hounds tooth! The same problem will occur (see #2). Bold prints and stripes at least 1” apart are usually fine. 4. Please avoid wearing any cologne or perfume on the day of your shoot. Please refrain from alcohol for 48 - 72 hours before your shoot, and no smoking! 5. Try and get a good night’s sleep (8 hours or more) the evening before your shoot. Drink lots of water for 48 - 72 hours and eat something before your shoot. 6. Bring a toothbrush and toothpaste in a small bag. Eat a snack or meal before your shoot too! GENTLEMEN: If you get red or bumpy from shaving think about shaving late the evening before to keep irritation down. -- Please be sure to apply a lip balm, under eye moisturizer and a face moisturizer before you arrive. -- Please use a good hand cream the days before your shoot and wear to your shoot as well. Consider getting a “nail-polish free” manicure the day before or the day of your shoot. Hands often show in photos. -- Please trim or tweeze eyebrows, ears, nose hair and do any other facial “manscaping” you can! -- Please wear a lot of antiperspirant/powder and a tee-shirt under your shirt to absorb wetness. Also please bring an extra shirt in case you perspire through the first shirt and you aren’t wearing a blazer. 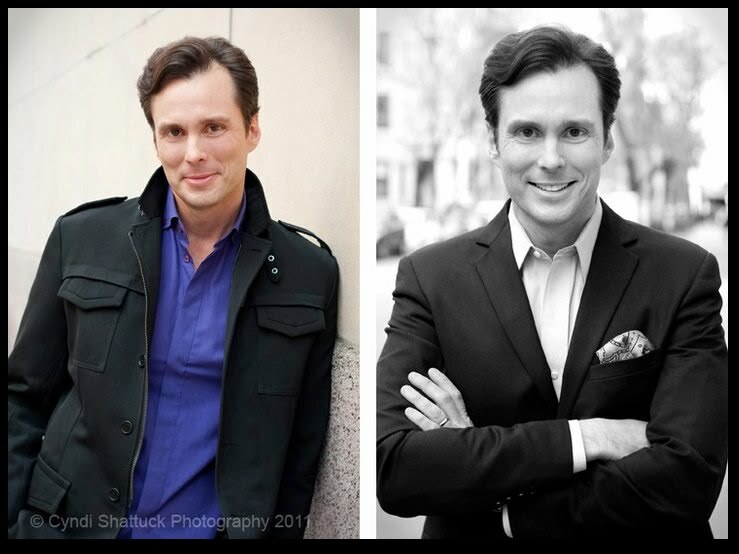 -- Bring extra clothing and ties to your shoot so we can decide which one will photograph best. 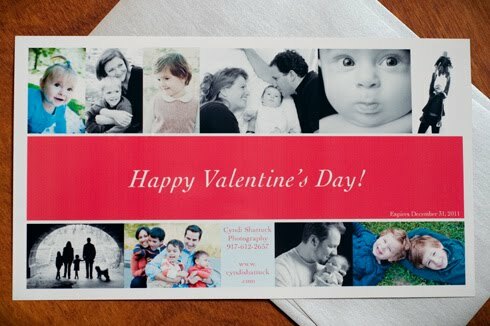 Give your Valentine a gift that will last forever...buy your Valentine a photo session for Valentine's Day! Each gift certificate is good for a one hour photo session in your home or Central Park. The photo session also includes a personal website of your images and a DVD of your images OR a hard cover proof book, $300. Gift certificates come personalized and packaged in beautiful silver envelopes. Additional transportation costs may apply outside of Manhattan. This price does not include sales tax.